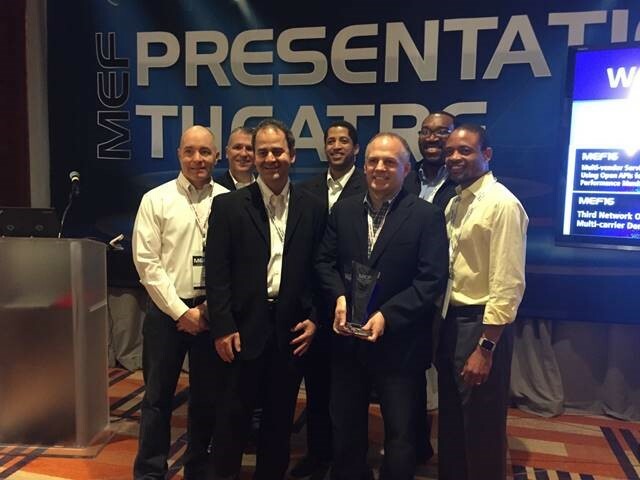 Monroe, LA - CenturyLink, Inc. (NYSE: CTL), RAD, Ciena®, and Ciena’s Blue Planet® division recently won the Third Network Proof of Concept Excellence Award at the Metro Ethernet Forum (MEF) 2016 Global Networking event. The Proof of Concept (PoC), titled “Multi-Vendor Service Orchestration Using Open APIs for Service Activation, Performance Monitoring and NFV,” was built on CenturyLink’s network and demonstrated the tangible benefits associated with multi-vendor automation using open Application Programming Interfaces (APIs), Software Defined Networking (SDN), and Network Functions Virtualization (NFV)-based value-added services. CenturyLink’s initiative to build open APIs under the MEF Lifecycle Service Orchestration (LSO) framework was a key component of this PoC. Those open APIs were developed, in collaboration with RAD and Ciena, to enable automated provisioning and the delivery of orchestrated services in a multi-vendor environment, providing solutions to many of the challenges IT managers face. The judging panel for the MEF 2016 Excellence Awards was comprised of global and regional senior analysts from ATLANTIC-ACM, Current Analysis, Frost & Sullivan, IHS Markit, Metanoia, Ovum, SDxCentral, and Vertical Systems, in addition to independent judges. MEF 2016 is the global gathering of networking professionals enabling the future of agile, assured and orchestrated services. The MEF 2016 Excellence Awards program is the largest in the world focused on advanced Carrier Ethernet services and emerging Third Network services powered by CE 2.0, LSO, NFV and SDN networking technologies.